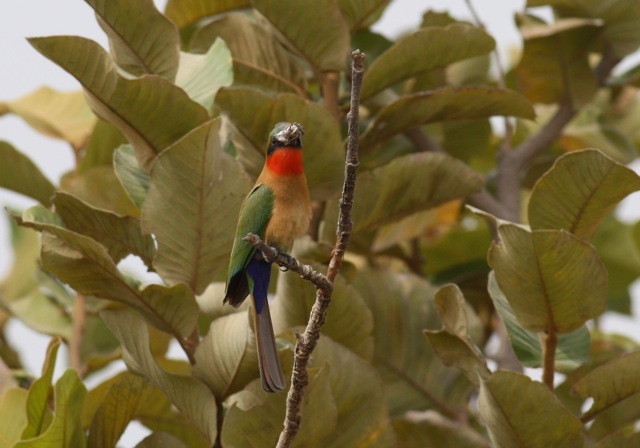 Some of the birds seen around Janjanbureh, in the East of The Gambia, in September of 2015. Red-throated Bee-eater, Northern Red Bishop and African Hawk-Eagle. More information: here. After having seen the Egyptian plover, we continued our journey in the Gambia to the east. 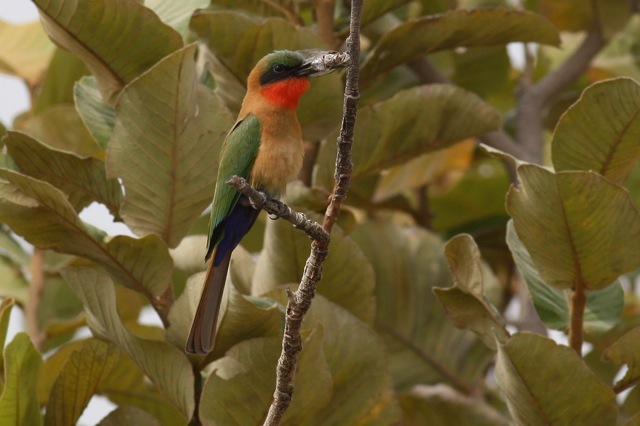 17:40: we arrive at a quarry, providing housing to a colony of red-throated bee-eaters. A hoopoe flying near the colony. We continue to the ferry to Janjanbureh. This is a 2017 video about the surroundings of Janjanbureh. More precisely, about Baobolong camp, our final point for today. This entry was posted in Birds, Environment and tagged Gambia, photography, travel by petrel41. Bookmark the permalink.